Samsung has officially launched its latest flagship chipset - the Series 9 Exynos 9810 headlining AI Applications and Richer Multimedia Content. 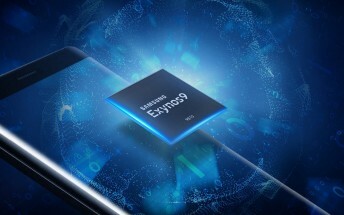 The Exynos 9810 will power the upcoming Galaxy S9 and Galaxy S9+ in several markets around the world. Built on Samsung’s second-generation 10nm FinFET process it's packing a brand new eight-core CPU under its hood, four of which are powerful third-generation custom cores that can reach 2.9GHz, with the other four optimized for efficiency. Single-core performance is enhanced two-fold and multi-core performance is increased by around 40% compared to its predecessor. We'll have to wait a little longer for formal benchmarking to see whether this is enough to put the Exynos 9810 into the same ballpark as Apple's A11 Bionic. The Exynos 9810 features a 1.2Gbps LTE modem thanks to its support for 6x carrier aggregation (CA) for 1.2Gbps downlink and 200 megabits per second (Mbps) uplink. In addition the Exynos 9810 employs neural network-based deep learning and stronger security allowing the processor to accurately recognize people or items in photos for fast image searching or categorization, or through depth sensing, scan a user’s face in 3D for hybrid face detection. While not explicitly drawn out, the depth-sensing 3D face detection looks like a carefully worded response to Apple's Face ID. Graphics performance will be boosted by the latest ARM Mali-G72 GPU promising 20% more performance than that of the predecessor whilst being more efficient. Video playback also supports 10-bit HEVC (high efficiency video coding) and VP9 codecs. The Exynos 9810 features a dual-ISP supporting up to 4 image sensors such as a dual-camera in the rear along with a camera and an iris sensor in the front. 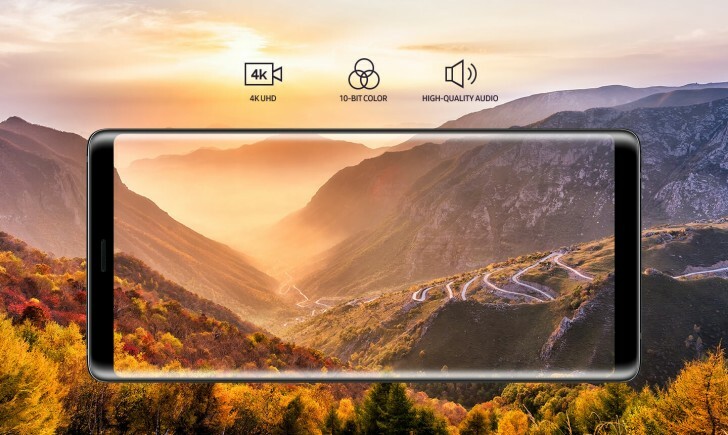 The dual-ISP will provide advanced stabilization for images and video of up to UHD resolution, real-time out-of-focus photography in high resolution and brighter pictures in low light with reduced noise and motion blur. Samsung will be displaying the Exynos 9810 next week at CES 2018.